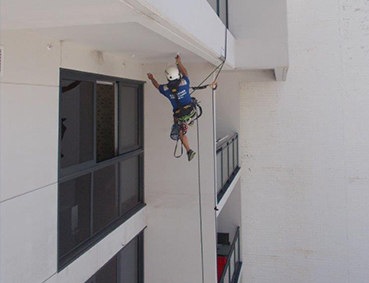 We have extensive knowledge and experience in cleaning facade surfaces. Concrete, rendered surfaces, aluminium panels, steel or glass, our team will advise the best possible way to clean your facade walls, fins, louvers and features. Contact us for advice on how to clean your facade, or try a test patch to see what result is possible..